Where In Annapolis: Ok, so Carolyn, where did you go to Law School, let’s start at the beginning? Lady Law: Undergrad at University of Maryland and I went to law school at American University in Washington, D.C.
Where In Annapolis: What kind of law do you practice? Lady Law: I do exclusively injury work, nothing else. Where In Annapolis: What attracted you to that [speciality of] law? Lady Law: Well, the truth is my little brother was injured from a motorcycle accident and he is disabled. That occurred when he was in high school before I even went to law school. So, I went to law school and started taking those motorcycle accident cases. Because there’s a lot of prejudice out there: if someone’s on a bike, they deserve to get hurt. When people are in a crosswalk by a walk sign, and they get hit by a car, everyone understands that because they get in crosswalks. In this country we say, if you have the legal right and you’re within the laws and you get injured by someone else, they’re liable for it. Well motorcycle riders, although a lot of people don’t ride motorcycles, are within the laws of this country. As long as they’re abiding by all requirements like helmet laws, sunglass laws, things like that, then they deserve the same rights as someone in a crosswalk that gets injured by a car. Where In Annapolis: Would you say that you’re particularly attracted to motorcycle cases? Lady Law: Well, I do all injuries. I do nursing home neglect, I do medical malpractice to some degree. I specialize though in motorcycle cases because I’ve been doing it for so long and it’s kind of my passion. I’ve made a lot of money for my people. You know even when people have alcohol in their system on the motorcycle, if it’s not a contributing cause to the accident, it’s not admissible in court. In other words, if you’re driving a car and you’re sitting there drunk at a light and someone rear-ends you, you’re not liable just because you’re drunk. It’s not a causing factor of the accident. So if a motorcycle is just sitting at a light, drunk off his rear end. Which is not a plus, it’s never a plus, but I know how to contend with that prejudice and deal with it in a way that the judges understand, the juries understand. That person sitting there drunk on a motorcycle at a red light has the same rights as someone sitting in a car. When someone rear-ends them, the alcohol had nothing to do with it. But so many times, you have a driver cut a motorcyclist off. A driver does not have a duty to avoid the accident. You can’t say to a grandma, “You’re 80 years old, you were driving down the road, you should have swerved and avoided that truck.” And you don’t say that to a motorcycle rider either. So regardless of what has happened on the motorcycle accident, anyone should call me. If they’ve been kicked out by their lawyers, if other people have told them you’ve got no case. Give me a call, let me run it through. It might work out, it might not. It’s hard to say, I can’t make any promises, but I can say that I will err on the side of accepting the case vs rejecting the case. Whereas a lot of law firms, as soon as they hear, “motorcycle”, they go, “not a great case”. And Maryland is a tough state because the plaintiff can’t be 1% responsible for the accident. One of two states in the entire country that does that. They’re trying to change it, but it hasn’t changed yet. Where In Annapolis: The reason why I ask is because your Annapolis-famous trucks have you sitting on a motorcycle. Lady Law: Yes they do! Well, it’s a passion, you know, once you’ve developed a passion for a certain kind of case, I mean I handle all cases and I’m very passionate about every client I have. But I do feel there is a prejudice out there against the riders. So it’s hard for me to put those cases down. Everyone has clients that they prefer and clients that they don’t prefer, but I work extremely hard on every case I have. I take it to the mat. You’ll find that small law firms that have fewer clients have to maximize recovery. Because nobody pays injury lawyers. What injury lawyers do is they take 1/3rd off the top at the end of the case. So since nobody is paying them, all the prices are the same. Whether you hire a law firm with 200 cases or a law firm with 25 cases. They all get paid 1/3rd off the top. So whatever that number is, let’s say one law firm will, what I call, “skim the cream” and settle the case for 75k when the policy is 100k. I won’t do that. I will not only take the easy money but I will make sure I maximize the recovery on the particular client. Where In Annapolis: Do you own any motorcycles? Lady Law: I actually do not own a motorcycle. Now, I have a motorcycle license. But, you know, I handle these cases and I really am not that competent on a motorcycle. I’m competent in a court room. But on a motorcycle, not so much. Where In Annapolis: If you could buy a motorcycle, what kind of motorcycle would you get? Where In Annapolis: Ok, so talk to me more about your trucks. So first of all, how many are there? Lady Law: Well, I have three trucks. I would love to have 30 of them. Now, they’re a nuisance to some degree, but they got my name out here. I opened my office in Annapolis two years ago. So it did well for me. You know, I started having judges calling me to come and speak about advertising when I don’t really know much about advertising. I just know, pretty much you do a good job for one person and he sends you his friends and family and that’s how I’ve done business for 25 years. But in Annapolis, when I got the trucks, I got one. And it got, now I’m seeing a good response. Not everyone is elated about those trucks being in their vicinity. So I try to keep them moving around so nobody gets mad. I always thought about doing a promotion that said, “Find all three Lady Law trucks, and win bucks.” And the first of the month, whoever locates all three trucks, send me an e-mail with a picture of every one of them and they get $100 bucks. I’m getting ready to roll that out but who knows, it could be a year from now. I’m getting ready to do a lot of things. Where In Annapolis: Yeah, there’s a big following on Facebook about your trucks. I mentioned earlier the number of people that have passed by while you haven’t been here and been like, “Is she here? Is she here?” cause they all know you from the trucks. Where In Annapolis: Yeah, I did! Where In Annapolis: What’s the inspiration for the dark eyeliner? Lady Law: Well, I didn’t really handle all of that. You know, you go to marketing people that put the thing together. They post the picture that speaks to them. And everybody’s different. And I will say, if you had kind of a bland, run-of-the-mill photo, people wouldn’t be as offended. I mean people are so hilarious. They’re like, “That is one scary-looking woman.” I’m like, “Well, don’t you want your lawyer a little on the scary side?” So one guy said, “We drove by and it scared my dog.” So you know, everybody has a different perspective. Some people say, “Is it male? Is it female?” I don’t mind. I mean people are joking around. Where In Annapolis: What message do you want to send with the image on the trucks? Lady Law: If you’re injured: LadyLaw.com. If you’re injured: LadyLaw.com. If you’re injured:LadyLaw.com. That’s the message. Injury. Whatever injury, it could be slip and fall, it could be, you know, honestly it could be a dog bite, it could be anything. If you’re injured, call me. Just go to LadyLaw.com and find my phone number. That’s the message. Lady Law: Well… I don’t know… I’m just joking around. Where In Annapolis: Maybe a little bit intimidating? Lady Law: People can be you know, kind of rude and they just kind of say things. And they don’t do it with intent to hurt me or anything. But they can be a little rambunctious at times. I mean, I get all kinds of messages from people. Where In Annapolis: Now, you said you opened your law firm two years ago. Where In Annapolis: And then how long have you lived in Annapolis? Lady Law: I grew up in Greenbelt, Maryland, in P.G. County. I went to Eleanor Roosevelt High School I was bussed into Mary Bethune Junior High. So I’m a Greenbelt gal. We call ourselves P.G. County gals. So I was there my whole life, I mean born and raised in Greenbelt. Then I went to Tampa, Florida and I lived in Tampa, Florida for almost 20 years, but I still practiced law in both states. So I was admitted to the Maryland Bar in 1993 and the Florida Bar in ’97. And I was also admitted to D.C. in ’93. So I’m a P.G. County girl. Although I do live and have an office in Annapolis, P.G. County is really my home.  Where In Annapolis: So what else do you want to say about your business or where Annapolis is going and growing and your business growing with it? Lady Law: Well, I don’t know, you know everybody’s different and I’m not that politically tied into Annapolis and the know-how and everything like that. I do allow people to park their motorcycles behind my truck! Where In Annapolis: Do ride on the back of motorcycles or do you go out riding a lot? Lady Law: No, I don’t do either one is the truth of it. It’s just a matter of, I handle these injuries, I see the pictures. It’s made me too nervous. Where In Annapolis: You’re just a friend of the motorcycle community? Lady Law: Yeah, and I believe in the right to ride. I believe in the freedom to make your own choices within the laws. And so you know, my riders insisted on me getting a license, really. They’re like, “Get your license!” So I did go out and get it and it was difficult. You know I can ride a motorcycle, I’d ride a dirt bike when I was younger. But I don’t like to be on the roadways. I don’t like to trust these other drivers. But it’s a matter of choice. That’s my choice. And I think that everyone should respect riders’ choice to ride. It’s a way of life, really. Lady Law: The rest of my life! I’ll be 90 years old, hobbling up to the courthouse going, “My rider was not at fault!” But I handle car accidents [too] I mean actually the bulk of my business is car accidents. But what happens with those people is they send me their friends, their family. Once I do a great job for somebody, they refer in business. So I don’t really advertise on the vehicle accidents. But I like all the riders to know that I’m their “man”, so to speak, to go to. Where In Annapolis: You have two practices, one in Maryland and one in Tampa? Lady Law: Correct, I have two different offices, one office is in Towne Center. And the other office is in Tampa, FL which is on the west coast. Lady Law: Yup, both “Lady Law” definitely. Where In Annapolis: Same website for both offices. Where In Annapolis: Alright, I think I’m just about out of questions, is there anything else you want to share about yourself? People are going to be so interested to know the real person behind the intimidating Lady Law trucks. Lady Law: Well, you know the real person behind it is: Before I went to Law School, my little brother was disabled and it really gave me a drive to fight for injured people in general. And in particular motorcycle accidents, but, you know, in every case. Maryland is a tough jurisdiction. You really have to fight hard. Because these insurance companies are so aggressive and if they know you’re going to stand down, you’ve got a problem. So if you want the maximum out of your case, my recommendation is go to LadyLaw.com. #Discounts #Attractions #Events Direct from local businesses. All in the palm of your hand.